Today, Lord Trees attended the launch of two reports that take a closer look at the state of the UK’s environment. The reports were produced by Wildlife and Countryside Link (Link), which brings together forty five voluntary organisations concerned with the conservation and protection of wildlife, countryside and the marine environment. The report launch was sponsored by Dr Sarah Wollaston MP and Zac Goldsmith MP. 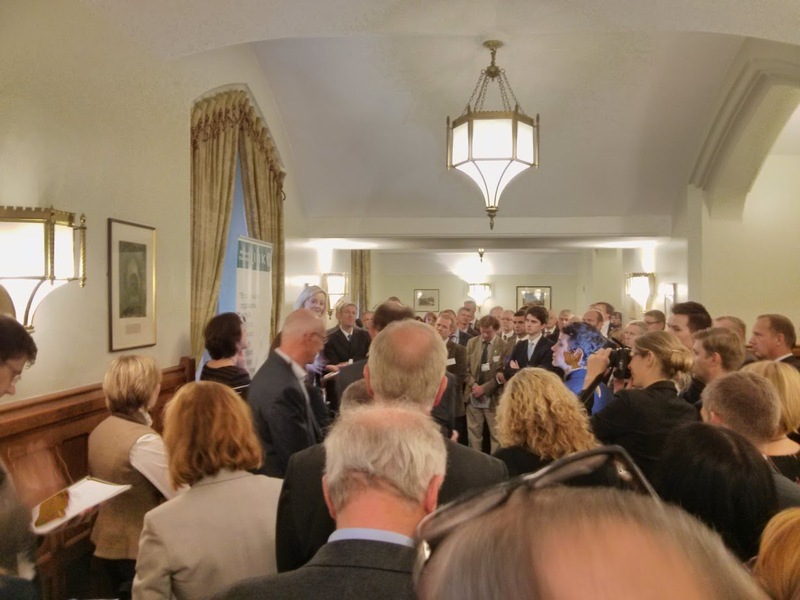 The packed room received an address from Zac Goldsmith, Dr Elaine King (Director of Link), and Liz Truss MP, Secretary of State for the Environment. Amongst other things, the latter revealed that Defra have installed a bee-friendly pollinator garden and beehive on the roof of Nobel House. Although the report launches were aimed more broadly at the environment, farming and water course management, there were questions about food chain education, protecting production of various key commodities, global markets and trade, and ensuring that farming and food production can not only meet the changes and challenges ahead, but also do so with healthy, high welfare animals – plenty for the veterinary profession to get involved with.